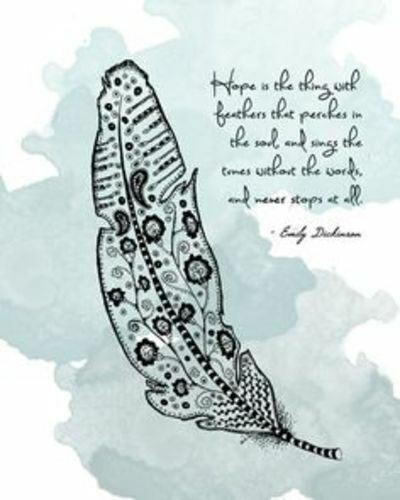 The speaker describes hope as a bird (“the thing with feathers”) that perches in the soul. There, it sings wordlessly and without pause. The song of hope sounds sweetest “in the Gale,” and it would require a terrifying storm to ever “abash the little Bird / That kept so many warm.” The speaker says that she has heard the bird of hope “in the chillest land— / And on the strangest Sea—”, but never, no matter how extreme the conditions, did it ever ask for a single crumb from her.